A Better Hybrid Maze Puzzle. 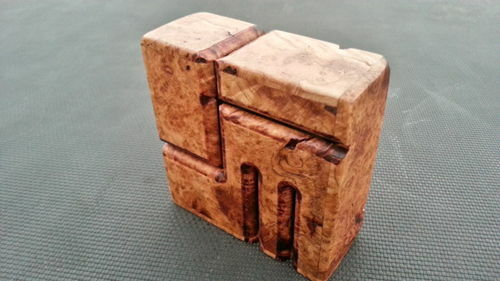 Hybrid Maze Puzzle in Cherry Burl. So beautiful, what a piece of wood! What a great job you did with it… do the top lids come off? The external pieces do not come off. nice piece of wood and use of it Marcus. I really like your stuff. Can you explain how this one functions? 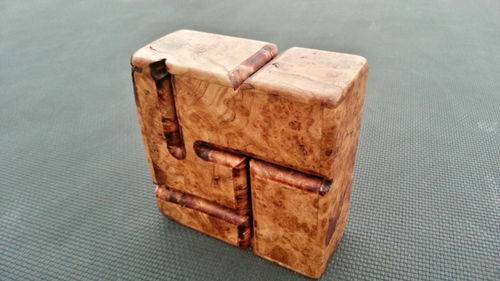 This puzzle is played like the previous games with two bearings and many possibilities. Moving parts and traps are on the horizon. How much do you think it would be worth in the market?